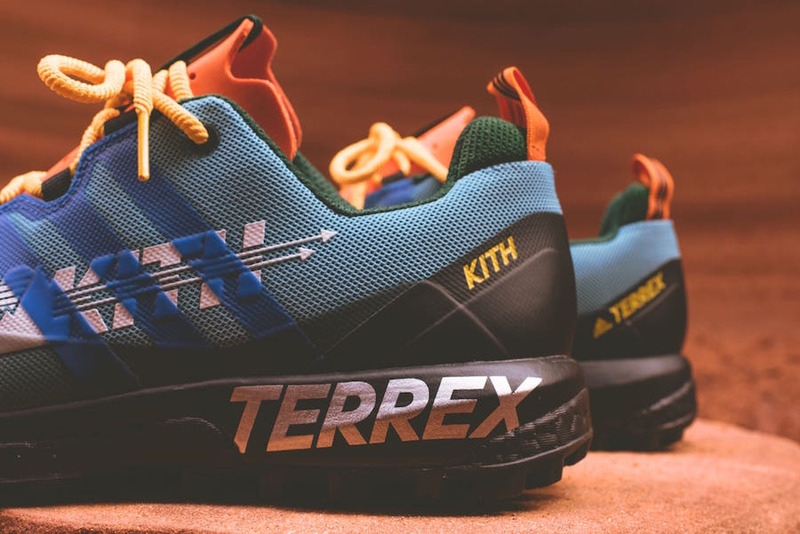 Ronnie Fieg now gives us a full look at his latest KITH x adidas Terrex EEA (Element Exploration Agency) Collection inspired by Utah scenery. The footwear part includes three adidas silhouettes, the Terrex Agravic GTX built with Gore-Tex and Boost cushioning, Response Trail Boost in a Rose colorway with nubuck panels and Black and Blue accents, and the Climacool Jawpaw Slip-On water shoes in White, Light Blue and Red. Releasing alongside the sneakers will be matching Columbia apparel, along with products from G-Shock, Oakley, and Tumi to complete the EEA Collection. For a full look at the entire capsule, head over to Kith.com. A release date is set for Friday, March 30th at 11AM at Kith locations and kith.com. UPDATE: Kith has officially revealed release details to each adidas Terrex sneaker. Here’s the pricing info: Agravic GTX ($175 USD), Response TR Boost ($180 USD) and the Jawpaw Slip-On ($80 USD). Take a closer look below. UPDATE: Ronnie Fieg’s releases the Kith Utah “EEA” lookbook, which will debut this Friday, March 30th at 11AM at Kith locations and Kith.com. Check out the full lookbook here.